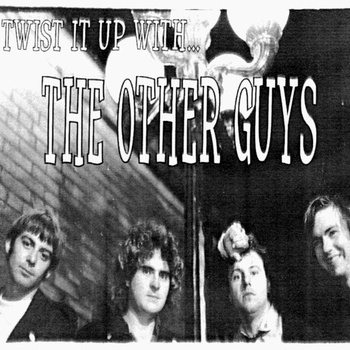 This week’s LOUIE is by an obscure Canadian group known as The Other Guys, courtesy of Music Archives of Durham Region. The Other Guys formed in Oshawa in 1978. The band’s live material contained many covers of tunes of bands from the early 60’s British Mod & R&B scene, as well as newer English bands such as The Jam & The Boys. The Other Guys were the first band to play at the legendary Star Club in Oshawa when it was located at The Italian Hall on Simcoe St. The band also played gigs in Toronto (Larry’s Hideaway, Hotel Isabella, The Edge) as well as gigs in Whitby & Peterborough. This line-up disbanded in 1981. Pawlenchuk & Ferguson recruited Greg Charuk (guitar) & Howard Stacey (bass) & carried on, eventually releasing a self titled six song EP. Sweeney & Branton eventually became members of Durango 95 & later on, The Purple Toads. These recordings has been made available by the Music Archives of Durham Region, a non-profit organization providing historic recordings from the past for educational purposes. Big thanks to Clay Stabler for sharing this one! We played with these guys at the Star Club. I was in Nobby Clegg. I remember them being fairly pleasant fellows.